For 30 years, Cancer Support Yorkshire has been supporting the people of Yorkshire when they most need our help. 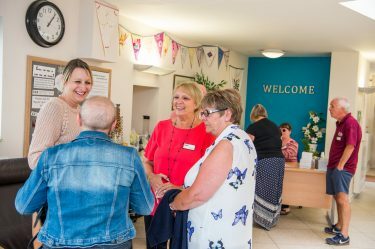 Since we opened our doors for the very first time back in 1988, we’ve helped thousands of people come to terms with a cancer diagnosis. 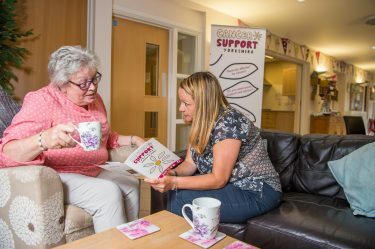 We’re not just here to offer practical support and guidance; we’re here to listen and offer emotional support. Reaching a milestone birthday like ours allows for a little reflection, of course – and we can’t help but feel proud of the important part we play in the lives of people affected by cancer. Consistently striving to not just meet but exceed the needs and expectations of those who seek our support, we’re working hard to increase our fundraising efforts to ensure we can be here for you for another 30 years – and beyond. Cancer Support Centre founded by Clifford Dobson offering Counselling services to local people affected by cancer. With income support seen as a key issue in the lives of those dealing with cancer, a dedicated welfare rights service was set up. This team team became one of the first of its kind in the country as it helped almost 300 people every year with financial issues. Demand for services continued to increase and we moved to larger premises in Daisy Bank opposite the Bradford Royal Infirmary. 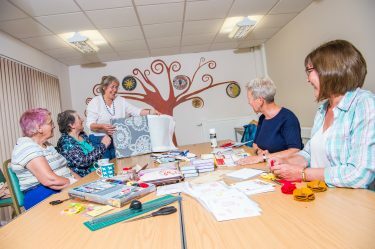 Over the next 10 years we developed our services further, with one clear goal: to ensure the lives of those living with a cancer diagnosis became that bit easier. A close working relationship with oncology staff & local GP's saw an increase in referrals for services meaning we outgrew our premises again. Our lease was due to expire in 2007 which would not be renewed. 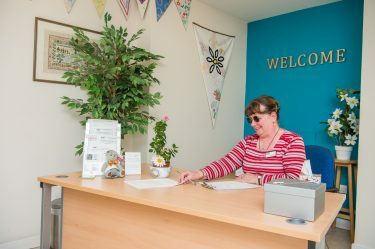 We launched the Daisy Appeal to reach our vision, which was to to provide a permanent base with space to grow and develop services all under one roof. We purchased property and land on Smith Lane opposite the Bradford Royal Infirmary. In January 2008 work began to build new premises and renovate the Old Farm building and in September we moved in. With all services together again patients and their families could access everything all under one roof. In 2010 we were ready for a fresh image that perfectly reflected our uniqueness, independence and contemporary outlook. A year of celebration as we reveled in 25 years of success, marking it with a bumper packed year of events and activities. September 2014 saw expansion plans come to fruition with the opening of our Skipton Centre, which offers the full range of services as our Bradford Head Office, to people in Craven, Wharfedale and the surrounding areas. Changing our name to Cancer Support Yorkshire in April 2016, we set out to explore even more opportunities to benefit people and patients in the Yorkshire region. We officially opened our first charity shop 'Preloved' in Skipton and also launched our new centre in Wakefield. And this is our 30th Anniversary year!